series connects two model objects in series. This function accepts any type of model. 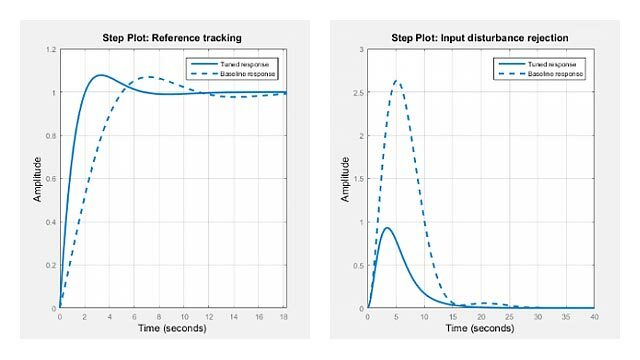 The two systems must be either both continuous or both discrete with identical sample time. Static gains are neutral and can be specified as regular matrices. sys = series(sys1,sys2) forms the basic series connection shown below. sys = series(sys1,sys2,outputs1,inputs2) forms the more general series connection. The index vectors outputs1 and inputs2 indicate which outputs y1 of sys1 and which inputs u2 of sys2 should be connected. The resulting model sys has u as input and y as output. Consider a state-space system sys1 with five inputs and four outputs and another system sys2 with two inputs and three outputs. Connect the two systems in series by connecting outputs 2 and 4 of sys1 with inputs 1 and 2 of sys2.